Samsung has just uncovered its latest addition to the line of solid state drives, the Samsung 840 EVO SSD. The Samsung 840 EVO drives are made for smaller and compact devices such as the ones that do not have room for 2.5″ drives for instance, ultrabooks, tiny computers etc. 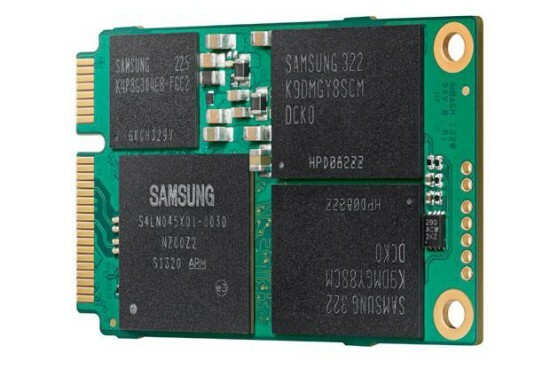 With capacities up to 1TB, the new Samsung 840 EVO SSD will not come cheap by any means and will also be made available in 120GB, 250GB and 500GB capacities. It is a mini-Serial ATA solid state drive and is claimed to have read and write speeds up to 540MB/s and 520MB/s respectively.